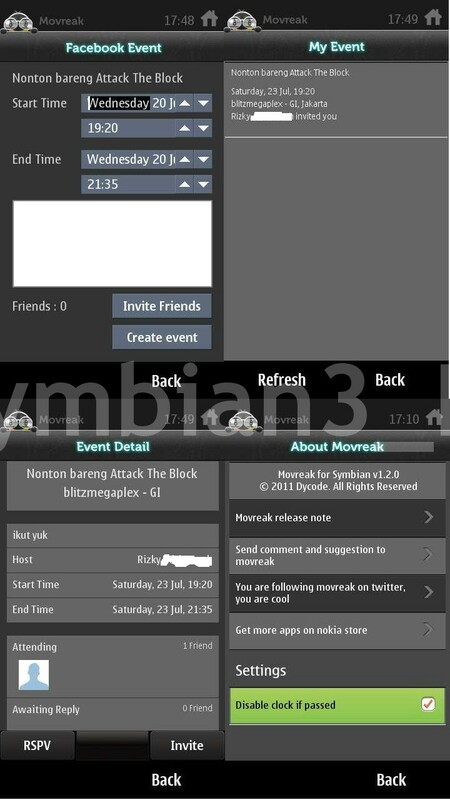 Movreak is a social network-based mobile app around movies and cinemas. You can get some informations about movie informations, showtime, give a review, seat plan and also sharing movie informations to your twitter & facebook account. 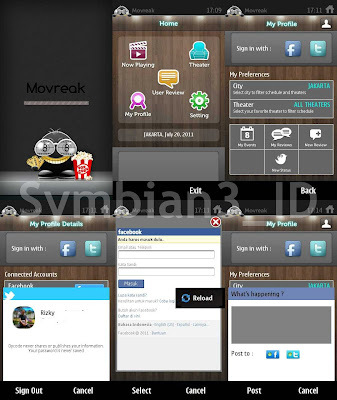 Movreak is Local application from Indonesia and also winner of The Best Local Mobile Application from Sinyal’s Indonesia Cellular Award (ICA) 2011. New Home page layout (add Profile icon). Now with Nokia Maps for theater location. Added "Select your favourite theater to filter movie schedule". 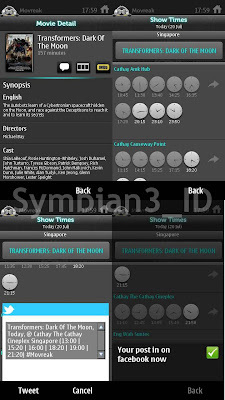 Added Singapore Data (Movie, Theater, Schedule). Added "Nonton Bareng" feature (Integrated with Facebook Event). Added "New Status" feature to post status to Facebook/Twitter. New Login with Facebook/ Twitter Account. New option in Setting page.